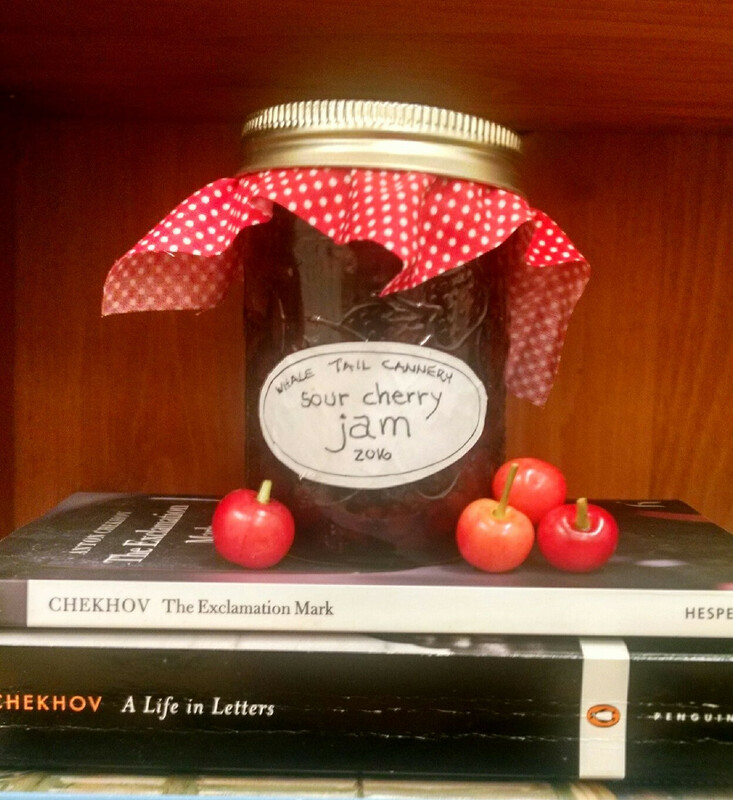 Writing and nibbling on cherries . . . .
Join us on Saturday for Flash Fiction II! Flash fiction is an exciting field, and for writers, there’s always something new to discover and learn. Fresh from a wonderful journey through the literary heart of our nation — the haunt of Melville and Twain, to name a couple of famous authors — I’m bursting with inspiration and ready to share. During our first flash fiction workshop this fall at Central Carolina Community College, we settled down with pens and like Herman Melville (whose writing den is recreated here) we wrote to our hearts’ content. And now, we’re ready to polish and prepare our work to share with the world. If your schedule permits, I hope to see you this Saturday, October 13, from 9 a.m. – 4 p.m. in Pittsboro at Central Carolina Community College for Flash Fiction II: Revision and Submission for Publication. And I’ve got some great news! In preparing for the class, I discovered a long list of contests and publications seeking flash fiction — with deadlines by the end of the year! I’m also sharing examples of cover letters from my own files that worked for me. In addition, I’ll share my own blunders and “dont-do’s” that might save you from the kind of mistakes I made. I’d love to share these and more with you on Saturday, and as always, I welcome your own contributions. Register today by calling at 919.545.8044 or through the CCCC website. This entry was posted in Uncategorized and tagged advice, Central Carolina Community College Creative Writing Program, class, creative writing, flash fiction, melville, revision, submission for publication, twain, writing on October 10, 2018 by Ashley Memory. Join our 200+ subscribers and enter your email address to receive notifications of new posts.